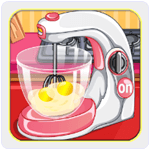 Cooking based games are very popular among the girls and kids to learn new recipes by playing. We can prepare various types of dishes using various kitchen appliances. It provides a virtual kitchen where we can bake, boil, cut, mix, shake and much more. Lets take out our cooking Spirit and become world famous. We have to prepare and serve food to our customers. It fulfill our dream of becoming a master chef and managing our restaurants. We can easily customize our staff and restaurants. We have can also compete with other player and trade our dishes to other chefs and players. Here are few best cooking games for android, where we can learn recipes and all other important things which are helpful while cooking food. 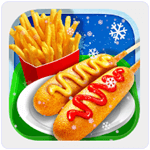 List Of Best Cooking Games For Android. 3. Pizza Maker Cooking Game. 7. Cooking Stand Restaurants Game. 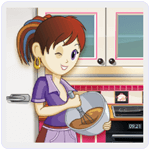 Cooking Fever is an addictive and time management based game. This Game offer more than 400 dishes to cook with 150 ingredients. Cooking fever is amazing in all cooking games for android. We can try all types of kitchen appliances. It provides 13 unique location dishes like dessert, fast food, restaurants etc. It also support social media sharing of our dishes. We can also upgrade our kitchen to prepare a variety of dishes. Approximately 50 million users have downloaded this game. Sara’s Cooking class is one of best option to learn cooking on our smart phone. It is a light weight Android app with awesome graphics. We have to follow Sara’s instructions and hints around the kitchen. We can boil, bake, chop, mix, fry and decorate our recipes. 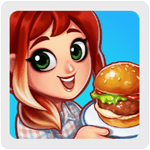 sara’s cooking class is best choice in all cooking games for android. 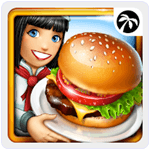 Players can also use these recipes in our real life to prepare various dishes. This game is available in 11 different languages. Approximately 10 million users have downloaded this game. 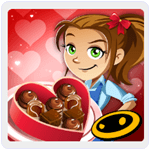 Pizza Maker is another android cooking app which is designed for girls and kids. 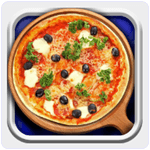 With the help of this game we can learn how to prepare different types of Pizzas. It has a rating of 3.8 out of 5 on Google Play store. We have to treat as a chef and design our pizzas and sandwiches. It is a light weight game with awesome graphics and easy to use interface. Approximately 10 million users have downloaded. It is another famous Cooking Game. It has a rating of 4.2 out of 5 on Google Play Store. In this game we have to play like Master chef and become more famous around the world. We can also share gifts with our friends and compete them. We can collect more profit by making different dishes and upgrade our restaurants. Approximately 10 million users have downloaded. Must Check:- Best Brain Games For Android. 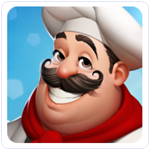 World Chef is a famous among all cooking game for android, where restaurants never close and waiters has a big smiles on the face. Let’s start with a little restaurant and expand it dish by dish. We can create, customize and buy our dining restaurants. Players can serve our dishes to customers all around the world. We can also trade our best recipes to other customers. It has a rating of 4.5 out of 5 on Google Play store. Approximately 10 million users have downloaded. Street Food Make is give us a chance to prepare our favourite street food. We can choose many different food to prepare. Prepare delicious food so that everybody wants a piece of it. Be the famous street food maker and sharpen your skills of cooking. Make our best customers and upgrade cooking appliances. It require Android 4.0.3 or higher version. Approximately 5 million users have downloaded. 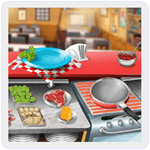 This Game fulfill our wish of having a restaurant and prepare food for our customers. It has a rating of 3.6 out of 5 on play store. We can increase our Cooking budget and buy new restaurants to have more customer and more earning. Its is good to play in all cooking games for android. We can also upgrade our Cooking equipment. It require Android 2.3 or higher version. Approximately 5 million users have downloaded. In this Game we can design various cakes of different types around the world. It is a combination of cooking and baking and specially designed for girls and kids. It is a light weight game with awesome graphic quality. 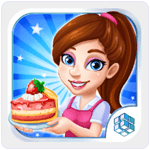 Cake maker is best choice in cooking games for android for those who loves to make cake. It has a rating of 3.7 on Google Play store. Approximately 5 million users have downloaded. It is an amazing android cooking game which give a us chance to release our inner chef and prepare various delicious dishes for our customers. This game is an addictive time management cooking Game. It is an endless cooking game which give us a wonderful cooking experience. It provide attractive graphics and easy to use interface. Approximately 5 million users have downloaded. In conclusion, These are best cooking games for android phone. We hope you enjoy them all.